The different accommodations at Waterpark de MeerParel all boast an equally comfortable design. A washing machine, dryer and dishwasher all come standard here. The 6-person lower apartment (NL-1911-05) has a dock with garden furniture, while the two-storey upper apartment (NL-1911-06) has a balcony. 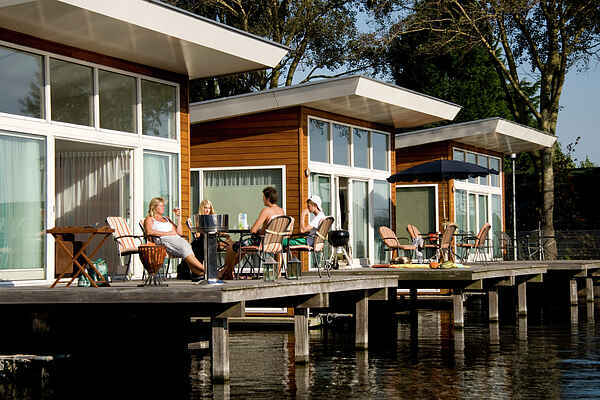 You can also opt for a 6-person houseboat (NL-1911-07), with bedrooms below the water line. The semi-detached category includes a 4-person (NL-1911-08) and a 6-person (NL-1911-09) variant. Both have a floor plan of equal size, though the 4-person accommodation has a very spacious living room in place of the ground floor bedroom. The types NL-1911-07, NL-1911-08 and NL-1911-09 have one or more boat docks equipped with garden furniture.